Established by the Prefecture, the International Exchange Salon is operated and managed by the Ishikawa Foundation for International Exchange. The Ishikawa International Salon was originally built at the end of the Taisho period as a traditional Japanese residence and is now a facility which can be casually used by anyone. 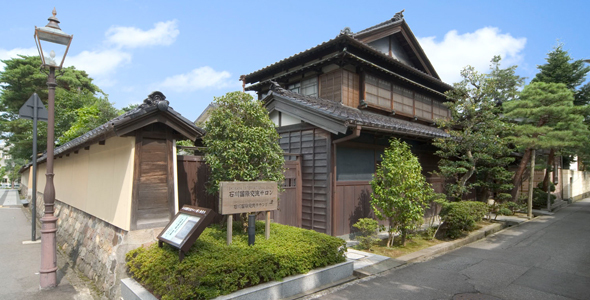 The Salon is located just on the edge of the "cultural zone" of Kanazawa which includes Kenrokuen Garden, one of the three famous gardens of Japan, and a collection of art galleries and history museums. Ishikawa Prefecture prospered as a region of traditional arts and crafts and the quality of this superb traditional culture merged into the daily lifestyles of all residents. The Salon is a place for multi-cultural exchange centering on the living culture nurtured by this historical region. Feel free to drop in if you would like to meet people of various cultures. Furthermore, international exchange organizations and cultural circles are also free to use the facilities.